Teaching life lessons at an early age is key to a life of success. How those lessons are acknowledged is important for shaping the person to become the best that they can be. All of us connected to hockey see the values it instills in our youth. From commitment, to work ethic to teamwork, hockey is a valuable tool to teach life skills beyond the game itself. A man who continues to teach those life skills off the ice post-career is Adam Graves, a two-time Stanley Cup Winner and the Vice Chair of Smilezone. A Smilezone is an area within hospitals that provides a warm, safe and accessible space for children and their families who are facing health challenges. After starting in 2012 there are now 170 zones across Ontario. "You learn as much from your teammates as you do from your coach as you do from your mom and dad as you do from your community. You just have to be humble, which hockey teaches you, and you have to listen." Graves grew up in Toronto and still values the life lessons that minor hockey taught him, believing that it led him on the path of using his platform to better the community that he’s on today. Graves compares the hockey world to a different type of family. Teammates serve as a family in hockey and playing the sport helps make you a better member of your family at home when the day is done. He’s used his connections in the hockey world to help bring Smilezones into areas like Thunder Bay, working with the local Staal family to get things started. “It’s the people that you meet that teach you as well. You learn as much from your teammates as you do from your coach as you do from your mom and dad as you do from your community. You just have to be humble, which hockey teaches you, and you have to listen and make sure that your eyes are wide open." Hockey offers valuable life lessons that have little to do with keeping score or winning games. 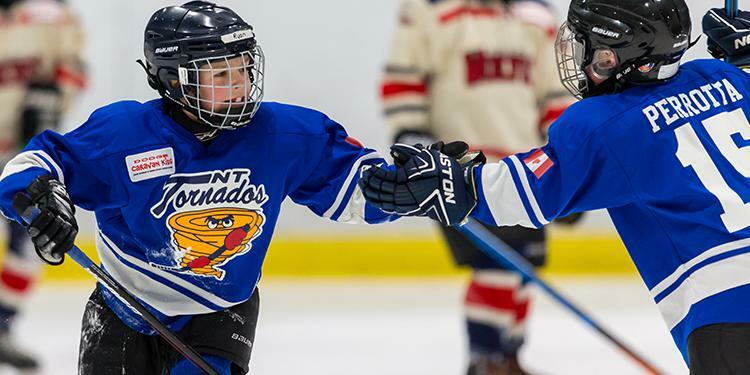 Qualities such as sportsmanship, getting to the rink on time, being there for teammates and listening to the coaches will all help players later in life as they move on from minor hockey. With Smilezone, Graves is focusing his efforts on creating a positive environment for kids when they are battling obstacles in places like hospitals and treatments centres. They’ll have a place to go that’s dedication to them and know they’ll have fun. He says that the kids who are spending time at different medical facilities have taught him the most about perseverance and courage. He reflects on the times as a player when his teams would visit hospitals and the interactions he was fortunate enough to have with kids. 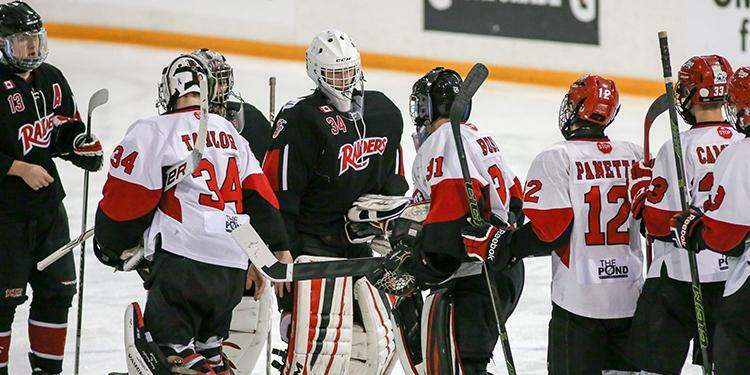 See the work that OMHA teams have done in their communities and contribute your team’s story in our Hockey Gives Back series.